Due to local conditions as stated above, the Cypress Ridge water system continues to have mandatory water-use restrictions to achieve a 36% reduction, compared to 2013. Outdoor irrigation is limited to two days per week and must occur before 8 am or after 7 pm, and should not exceed 10 minutes per station. 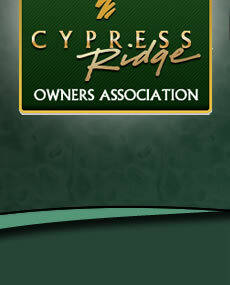 If you are not receiving emails from info@cypressridgeoa.org, be sure you allow your spam blocker to accept emails from info@cypressridgeoa.org and/or make sure your email is correct by updating your information in Your Profile just above the Welcome sign on the very top left of this page. 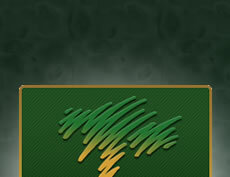 Additionally, you can add another email in your profile in Second Residents Information. Did you know that Cypress Ridge is a Cliff & Barn Swallow nesting site? The Swallows return here each year. They feed on mosquitoes and other bugs and help us have a bug free spring and summer. The Federal Migratory Bird Protection Act of 1918 protects Swallows. It is illegal to destroy a completed nest between Feb.15 - Sept.1. Old nests vacated by the birds may be removed after Sept. 1st. Scroll down to "Birds, mammals, and reptiles: Verterate pests". How do you spot a Swallow’s nest? Look for clumps of mud near the eaves of the house. Nests under construction may be removed using high power water to knock down the mud – make sure you get all the mud off the house. An incomplete nest looks like a quarter or half cup & may have eggs in it. You may need a ladder to check out the nest. If it does not have eggs in it, then you can knock it down. The Swallows will try to rebuild the nests you knock down so, be diligent about removing the mud before it builds up, but always check to make sure there are no eggs in the nest.